Each year, Raymond James & Associates holds a summer conference for professional development, networking opportunities, and fun family time. Raymond James & Associates invites qualifying financial advisors and their families to attend the conference. 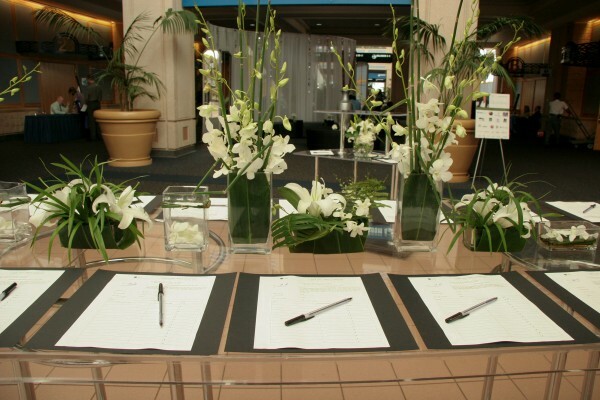 The 2007 theme was “Timeless Traditions – Inspired Innovations,” a retrospective of how Raymond James financial advisors moved from 1962 through the times to the present day, paying tribute to 45 years of excellence. The conference required Grand Events to create many different items like custom directional signage, centerpieces, kid-friendly play areas, and a Route 66 family night dinner utilizing the custom Route 45 logo as inspiration. The highly-anticipated anniversary gala and awards dinner for 800 guests was outfitted in a “Gallery Chic” look. It featured 10 oversized historical black and white photos of the Raymond James campus and founders from the past 45 years set on white drape around the room perimeter. Grand Events created custom-sewn black and white Rococo chair covers, contemporary floral centerpieces with lots of mirrors and candlelight, and a lighted dance floor to complete the chic black and white design. After the dinner and dancing to KC & the Sunshine Band, guests moved into the Adult Hospitality room with GE Lounge Line’s sleek white leather furniture, glowing acrylic bars and tables, and high-impact lights pulsing to the groove of Marvelless Mark. The final night guests played and danced at an Old Florida theme dinner as a preview of 2008’s conference to be held in Boca Raton. 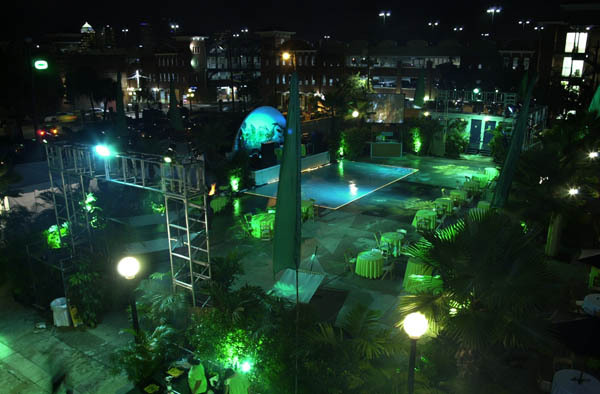 Grand Events also produced their events during SDC 2008 and 2011.